Welcome to Day 1 of our blog hop with My Favorite Things (MFT) design team! We are excited to share projects created with both company’s wonderful products. Look and be inspired on what the two talented design teams made! Don’t forget there’s an opportunity to win a giveaway…details at the end of the post. Enjoy! Today, I am sharing a card using two of my favorite things, Scrapbook Adhesive by 3L® products paired with My Favorite Things stamps & dies. Their images are from fun and cute to classic, they really have something for everyone and their taste level. I decided on the MFT BB Magical Unicorns stamp set and coordinating MFT Magical Unicorns Die-namics set, along with the MFT Die-namics Hello Beautiful set. This stamp set is just so whimsical, I see it becoming a quick favorite in my go to stamps! I’m delighted to be partaking in the MFT and Scrapbook Adhesives by 3L® blog hop. Such a lovely choice of stamps, papers, inks and more. Being a huge fan of chalkboard designs I couldn’t resist the Chalkboard Greetings stamp set, lovely and thoughtful sentiments. Using Black Licorice Premium Dye Ink Pad I stamped three images, cut to rectangles and placed Creative Photo Corners Kraft onto each corner to make mini frames. Using the Dots and Stripes Neutral Paper Pad, I designed three coordinating tags. Selecting three designs and distressing the paper edges lightly, I affixed with E-Z Runner® Micro Permanent Strips Dispenser – this dispenses a fine strip of adhesive allowing me perfect precision. Crafty Foam Tape was perfect to place on the back of my stamped frames for that extra dimension. Always handy to have a selection of tags to hand at home, to tie onto gifts or perhaps a special bottle of something. 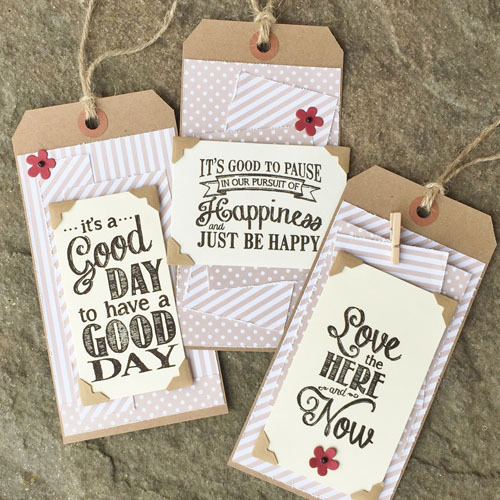 For a tutorial on how to create these tags, click to my blog: Creativity Continues Blog. Hi all, AJ here. I am so glad to be hopping along this week with MFT. They have some pretty fabby stamps and coordinating die sets! I just happen to have been eyeballing these LJD Pretty Poppies stamps for quite some time and am so THRILLED I finally got them! The amazingly clean lines and eloquent flowy design make them so soft and pretty. I also paired the stamps with the Die-namics Thank You, as well as the Die-namics LJD Poppies and Leaves set. My main panel is popped up from the grey card base using Crafty Foam Tape White. I die cut the poppy and leaf from white cardstock, then stamped after die cutting. I adhered them to the card using 3D Foam Squares White Regular. Lastly, I added a few sequins using our Dodz Adhesive Dots Mini. And I couldn’t resist making just one more card, I love the pretty lines in the LJD Delicate Pretty Poppies stamps so much!! I adhered the white layer and red glittered strip of cardstock to my Kraft card base using the E-Z Runner® Grand Dispenser. I then stamped my sentiment. Next I die cut the leaves and flowers from white cardstock before stamping them. They are both popped up using 3D Foam Squares White Regular. Hop over to our friends at MFT: Blog Hop with MFT – Day 1. Find our Day 2 Blog Hop post here! Enter to win by leaving a comment through the Rafflecopter App. International entries are welcome. This entry was posted in Adhesives, Announcement, Crafts & Tutorials, Crafty Foam Tape, Creative Photo Corners, E-Z Runner® Dispensers, Tutorial and tagged 3D Foam Squares Mix White, 3D Foam Squares Small White, Adhesive Dots Mini, AJ Otto, Blog Hop, Card, Christine Emberson, Crafty Foam Tape White, Creative Photo Corners Kraft, Die Cut, Die-Cutting, E-Z Dots Permanent Refillable, E-Z Runner Grand Dispenser, E-Z Runner Micro Refillable Dispenser, Latisha Yoast, My Favorite Things, Stamping, Tag. Bookmark the permalink. 87 Responses to "Blog Hop with My Favorite Things – Day 1"
My favorite part of blog hops is all the inspiration (plus the thrill of a prize chance!). I read about this blog hop over at the MFT blog. Love the blog hops because of all the inspiration using products I love. The cards and tags above are all awesome! MFT sent me, and OH am I glad they did! First: I LOve your products – your foam squares are the ONLY ones I use – love the fact that they come in black, too! Next: look at all the lovely designer cards! You’ve each made me see those MFT products in a different way! Thanks … and thanks for the opportunity to win some goodies I haven’t tried yet – sheets? WHAT?! 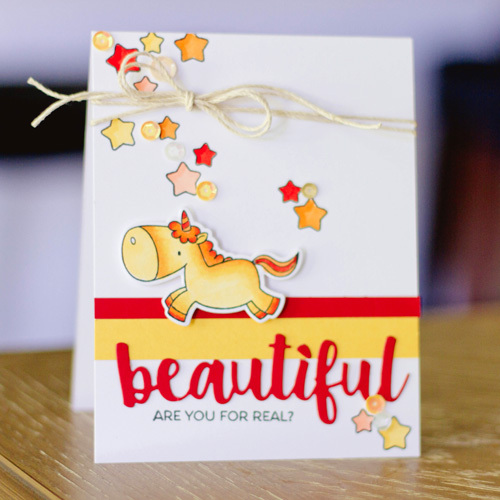 The greatest part of blog hops is seeing the beautiful cards each artist creates. Its always helpful for learning new techniques and ideas. God Bless ya’ll and have a wonderful day. So thrilled to see this collaboration between MFT and 3L Scrapbook Adhesives. I recently discovered the Ultra Tape Runner at MFT. I have this thing about my handmade cards being “hurricane proof” 🙂 and this does the job. It is now in my adhesive stash with all my other 3L adhesives like foam tape and squares, double-sided tape, Dodz, sheets, and more! Blog hops make it so easy to see how some of the most talented people in the business use products that you have or want. Blog hops inspire creative thinking! Nice to see you collaborating with MFT! My Favorite thing about blog hops is seeing all of the amazing creative projects that the ARTISTS create! MFT sent me! 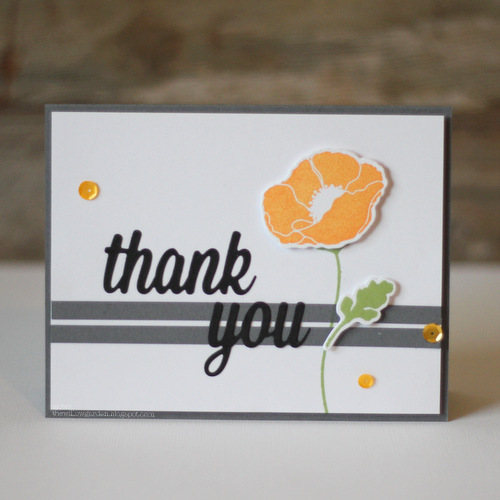 Thank you Scrapbook Adhesives for joining with MFT for this blog hop! I love the eye candy and products from both companies! Happy Crafting! My favorite part of blog hops is seeing the wonderful ways the products can be used. I always have an ‘I didn’t think of using it that way’ moment! Thanks for the chance to win! Great showcasing of all the products. Bravo DT!!! My favorite part of a blog hop is seeing how products are used and the creations people make!!! Awesome projects, thanks for inspiration! I love the adhesive you make and use it all the time. Great projects shared. Love all the creative and very different ways the DT’s used the adhesives. Not just to stick things together, but as design elements too. And MFT products are so adorable and fun. I was playing with their Whole Herd & Trim A Tree stamps just last night. So fun to see your two companies creating together. My favorite thing about blog hops is to find out I win a wonderful prize. and often use their ideas as jumping-off points for my cards. MFT sent me! 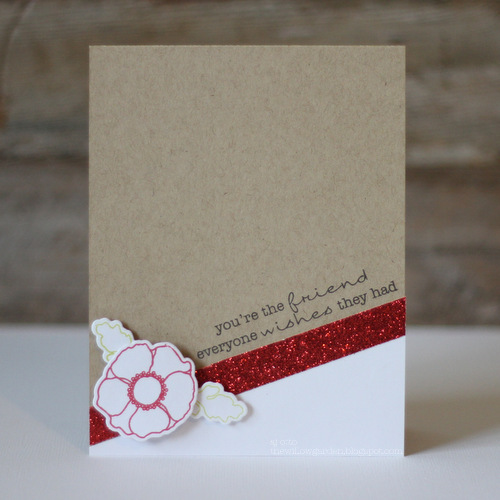 I love blog hops because I get to be inspired by some of the best card makers in the industry with their creations! Also gives me a chance to see a lot of product that I might have missed & want to purchase! I love all these projects but my favorite is Latisha’s. It is so bright and cheery and the summer colors are fabulous! My favorite things about blog hops are, the people you meet, the inspiring projects you see and the ability to find new online places to shop for the things you need without having to get in the car! Thanks for all your help, Beth! Hey y’all! Super excited about you teaming up with MFT for this cool blog hop! My favorite thing about blog hops is all the awesome inspiration I get from every designer who contributes. I love to see how products can be used so differently and it truly does make me buy more!! I enjoy the fun and excitement and comradery of cross-promo blog hops!!! Hi! MFT sent me. I love seeing all of the design team’s projects and being introduced to new products and companies I haven’t discovered yet. Thank you for the chance to win! Got here via MFT blog post. Love blog hops for intro to amazing artists out there and their inspiring creations. Love these cards, but my favorite is the friend card – so pretty and simple, and the sentiment is one of the best ever! Enjoy seeing two great crafting companies working together! My favorite part of blog hops is getting to visit some new-to-me blogs! My favorite part of blog hops is seeing all the great ideas and techniques. I cannot tell a lie. I DO love the prizes on blog hops. However, I also love seeing the new products and the designers’work. I have learned a lot from blog hop tutorials and have been inspired quite often. To me it’s a win, win situation. Even if I don’t win a prize, I gain knowledge. I have also become acquainted with new designers and followed them even if it’s not a requirement. I love hops! My favorite part of blog hops is the inspiration I gleam from them. I’m not one to just come up with an idea very quickly, so they really help me a lot! Beautiful projects today and we just can’t do them without our adhesives. My favorite part of blog hops is learning new techniques. 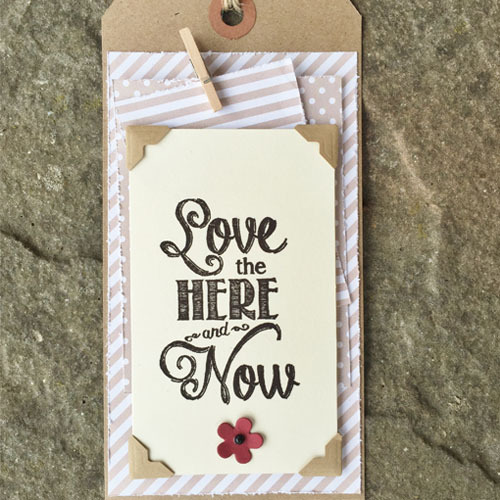 I’m relatively new to card-making and I’ve learned so much from others through blog hops. I also love seeing how others use products. There’s a lot of talent out there and I appreciate the inspiration they provide to beginners like me! Blog hops give me new ideas on how to use the products shown & spark new ideas for products I already own. My favourite part of a blog hop is the many tips and techniques we get for a single product/image or brand, like an in depth course! My favorite part about blog hops is seeing what everyone makes and being introduced to new products. I love the inspiration for my own projects and, of course, the prizes! My favorite part of blog hops is getting to meet new designers and new to me companies, learning new techniques and the best part of all is the inspiration that I get from perusing all the beautiful creations!!! I have to say that all of today’s creations are lovely but my absolute favorite is the Unicorn card! Totally adorable!!! TFS! fingers crossed! My favorite part of blog hops is seeing all the beautiful projects that the designers make. Of course, the bonus of a prize package doesn’t hurt either. My favorite part of blog hops is seeing all the inspiration using new products, some samples are very creative and out of the box! Thanks for the chance! The inspiration with prizes is what I enjoy. Love the creative inspiration! Your foam squares are the BEST EVER! They’re the ONLY ones I use! Plus your tape runners are the bomb! 🙂 Great products!!! Gorgeous projects by the DT! Stopped here from the MFT blog…Thanks so much for a chance to win! My favorite thing about blog hops are all the lovely inspiration and ideas I get from other artists! Great projects today! Especially love the tags and the unicorn! My favorite part of hops are the prizes but also all the eye candy and ideas! Fave part of blog hops???? You really had to ask??? Prizes!! I love the chance to win prizes!!! Anyone who does not say prizes are their favorite part is not being entirely honest!!! lol….. I also really love discovering new ways to use familiar products and getting acquainted with new products, too. Inspiration, like that found in the cards and tags above, is the thing I love most about blog hops! I love all the fresh inspiration Today’s post has me really wanting to learn to color better.. Also the best way to learn new techniques. I like learning new uses for a product and learning about new products, not to mention all the beautiful ideas/techniques you can pick up. Thanks for the chance to win. The proper adhesive is very important in the creation of a card. I learn so much from blog hops so thanks MFT for sending me the link. Its great seeing what can be done and above all using the right products for it!!!! MFT sent me. My favorite part is all the great inspiration. This is my first blog hop so I am excited to see what is going on!! Awesome projects by the design team! prizes is learning new techniques and tips. I Love to see all the great inspiration. Thanks for the hop and give away. Beautiful inspiration and a fabulous collaboration! Blog hogs open worlds of creativity. thanks for joining MFT for this one. Two great companies in one fun hop. My favorite thing about a blog hop is seeing the amazing projects and being inspired by them. Oh, can’t say I don’t love the chance at a great prize!! Thanks for the inspiration, and the opportunity to win! What I love about blog hops is all the inspiration!! Wow, fabulous collaboration! Love the inspiration. I love all the beautiful cards on these hops! MFT sent me and I love them and a good adhesive! Blog hops are great. You can get great ideas and find new techniques and hear about new products. Wonderful inspiration and prizes! i love all the inspiration! SO MUCH to INSPIRE today!!! I follow with a lot of pleasure both blogs! I was so happy to see this great collaboration! I love the mix of amazing ideas and inspiration from this blog hop! MFT is one of my favourite stamps shop and Scrapbook Adhesivesby 3L one of my favourite supplies shop! I love your both products! Thank you for this amazing chance to win! Favorite part of blog hopping to seeing all the different techniques used and learning about them. I always learn a lot from blog hops. The creativity of the designers is so inspiring & I’ve learned of so many new products that I REALLY need plus so many awesome techniques. And then on top of all that , a chance to win new goodies!! I like that there are so many different ideas that are shared from blog hops. I’ve seen adhesives in a whole different light! What beautiful cards. Pairing MFT and 3L was genius and makes a gorgeous artistic project come to life. Love the cute unicorn card! Great projects and inspiration today!! I enjoy seeing the talented designers share their creative process- it is very inspirational! The inspiration from seeing how others are using your products in creative ways has to be the best part of these hops. It introduces me to products I wasn’t aware of & then of course makes me covet them! I love the horse card, it’s fun and the colors really pop! I am here for TWO reasons – the first one is a received your newsletter announcing this blog hop!!! The second reason is because MFT also sent me an email notification about the hop!!! I love blog hops – I always enjoy seeing the diversity and uniqueness of projects that have been done by the designers!! I have been so very impressed with ALL that I have seen!!! Love all the use of kraft card stock, the projects are fantastic and give me lots of ideas!! What lovely and fun projects! Love both MFT and Scrapbook Adhesives by 3L products!! WOW! Today’s projects are amazing and beautiful! Love love love those tags a lot! My favorite part of a blog hop is learning about new products and techniques and being introduced to new designers. I can never have too many cute stamps or good adhesive!